Ortaköy neighbourhood of Istanbul located by the Bosphorus coastline on the European side resembles a string of villages, each with their own individual character and attractions, and indeed that’s just what it was. Seen from the Bosphorus cruise, the Bosphorus coastline on the European side resembles a string of villages, each with their own individual character and attractions, and indeed that’s just what it was. Located between down-to-earth Beşiktaş and chichi Kuruçeşme, Ortakoy does what its name suggests and positions itself somewhere in the middle (orta köy means ‘middle village’ in Turkish). 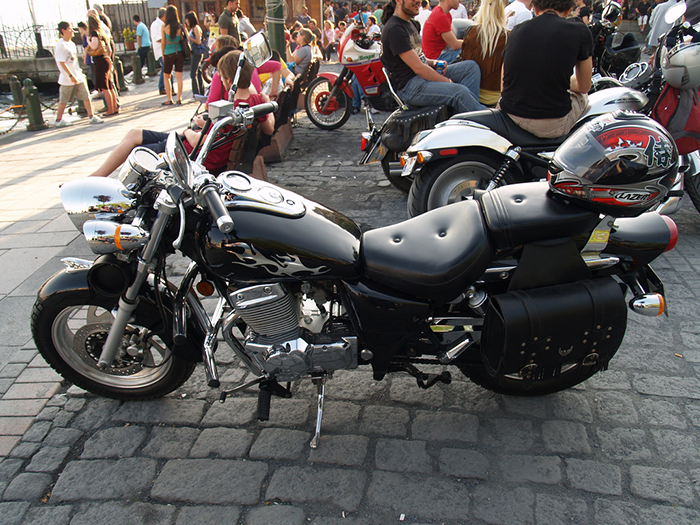 What is there to see in Ortakoy? Aside from the bustle of everyday life, there are several good reasons to come this friendly neighborhood. 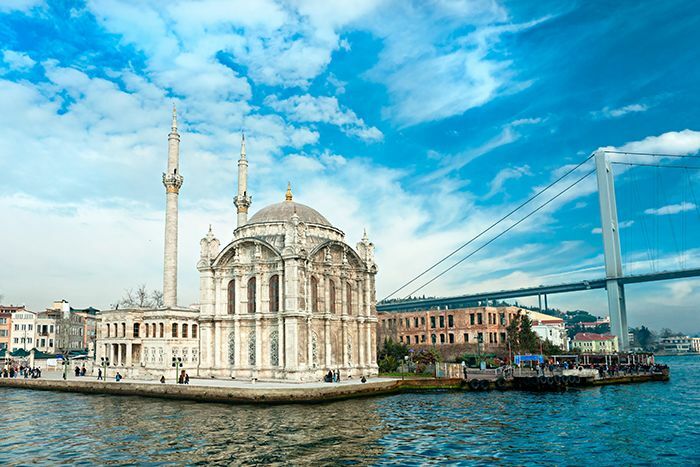 Look at any Ortaköy photos to see the beautiful Ortaköy Camii (Ortaköy Mosque); a neo-Baroque building, right on the waterfront that has recently undergone major renovation works. Reflecting the cosmopolitan nature of a neighbourhood where Turks, Armenians, Greeks, and Jews historically lived side by side, you can also visit the Etz-Ahayim synagogue, which is located close to the Bosphorus Bridge and the Greek Orthodox church of Aya Fokas (St Phocas). In the same area is one of Istanbul’s oldest hamams, built by the famous Ottoman architect Mimar Sinan in 1556, and the influential education establishments of Galatasary University and the Kabataş Erkek Lisesi. What are the Ortakoy dining options? For fans of baked potatoes, the kumpir in Ortaköy is a must try. For those asking ‘what is kumpir?’, it is a giant potato baked in the oven, then stuffed with an astonishing amount of different fillings that you choose from a counter. There is an area of Ortaköy dedicated just to kumpir sellers. The Ortaköy waffle sellers are equally famous. However, if you’re looking for a more upmarket option, try Park Şamdan, Banyan Ortaköy, Zuma, or Köşebaşı. Alternatively go for drinks and snacks at House Hotel Ortaköy. How is the nightlife in Ortaköy? 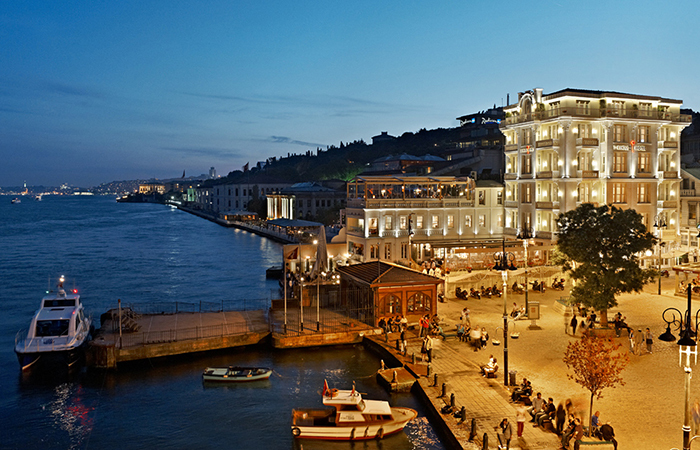 Ortakoy is a popular nightlife destination for locals and wealthy visitors. Unlike the myriad of choices around Istiklal Street, the nightlife here tends to be mostly a flashy affair. Some of the city’s showiest clubs like Reina, Anjelique, Sortie, and Supperclub are all located here. There are also a few places popular with a younger crowd like Kafe Pi Ortaköy and Kiki Ortaköy. 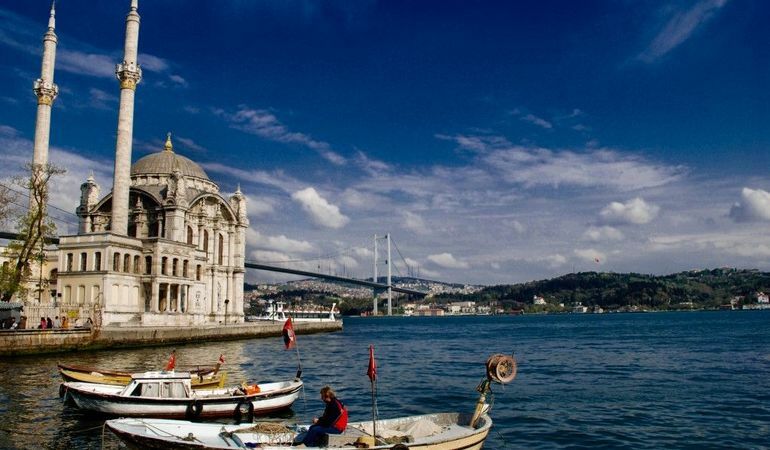 Is there any accommodation in Ortakoy? There a number of excellent Ortaköy hotels, including the magnificent Ottoman-built Çırağan Palace Kempinski, the Radisson Ortaköy (Radisson Blu Bosphorus) and the Four Season Hotel Istanbul at the Bosphorus. The easiest way to get to Ortakoy is to take a 40,40T or 42T bus from Taksim, or the 22, 22RE or 25E from Kabatas. Do you want to learn more about Ottoman Architecture? 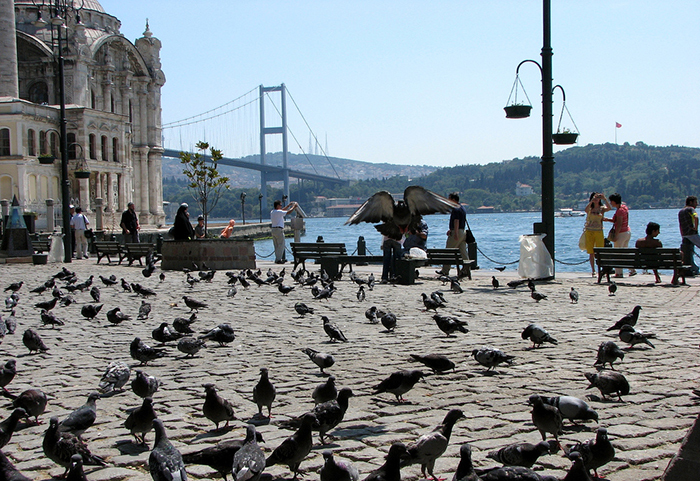 Ortaköy is a very popular area for locals with its restaurants, art galleries, bars, and small shops.